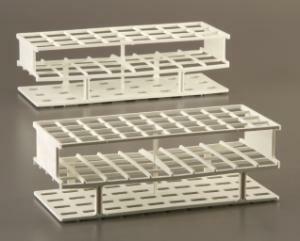 Securely hold a full load of test tubes or centrifuge tubes with these durable, sturdy racks. 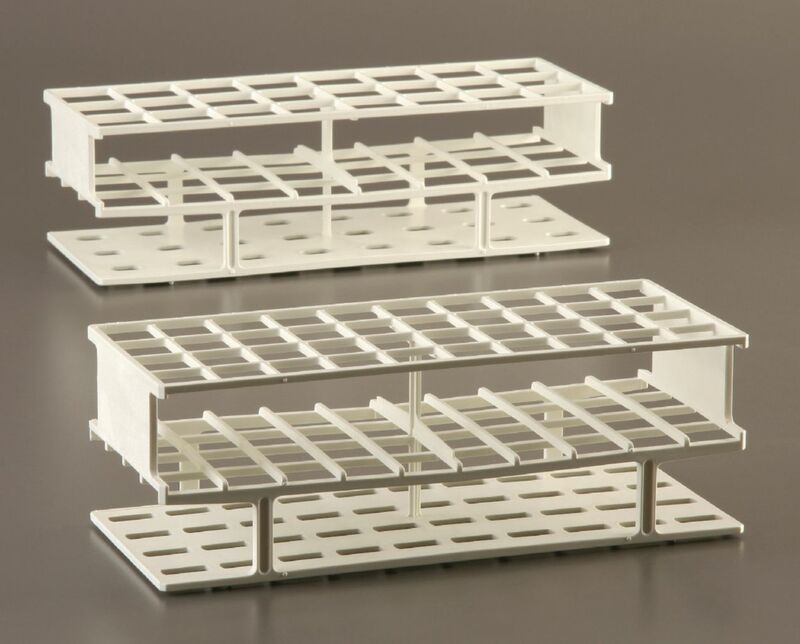 Useful in a wide temperature range, the white racks are also chemically resistant. Choose from a rack for 15mL tubes or 50mL tubes. Size of 15mL rack: 250mm L x 102mm W x 83mm H. Size of 50mL rack: 283mm L x 108mm W x 83mm H.